When “Good Enough” Just Wasn’t Cutting It Anymore….. 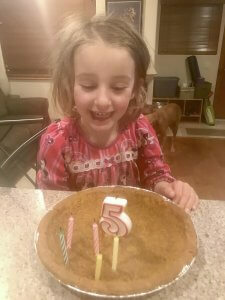 I am not usually one to get nostalgic over birthdays, but something about my daughter turning 5 yesterday led me down memory lane and inspired me to share a little more of my personal journey over the last 5+ years, in hopes that it fires up one other person to start chasing their dreams. There are parts of this story that I have shared with very few others, but this week it hit me really hard and I wanted to share. I was “good enough” at sports. I was never the top athlete, but I was always “good enough” to make any sport I tried out for (except cheer-leading, no joke!). I was “good enough” in college that I graduated in 4 years, again not at the top of my class, but good enough. And I was “good enough” to always land a job when I needed one, pay my bills when they were due and to keep moving forward in life. “Good Enough” was always GOOD ENOUGH for me. And I think it’s that way for so many. “Good Enough” is far superior to not even trying, but there is a whole world beyond this level that I had no idea existed. We are conditioned from one thing to the next in life, most of the time not even thinking or knowing exactly what WE really want as the end result. Well “good enough” was great for me for most of my life. It landed me a fantastic husband (he’s of course more than good enough! ), brought us to a great place to live, a house, cars, and a nice and steady jobs. I truly feel we all have big moments in life, that “can” change the course of our life. Sometimes we take the signal and change course, but more often than not, we let fear talk us out of change and continue back on the “good enough path”. My husband left his “good enough” world when he was blindsided and let go from a really great job. He took that furry and started a company of his own and I always admired that drive. Then one day, it just wasn’t going to cut it anymore for me either. 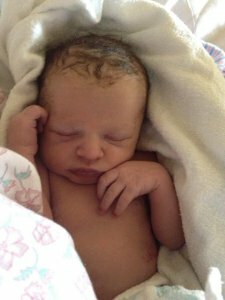 That day was 5 years ago with the birth of my first born, Emmie and all was about to change! There is NO greater motivation in the world, than that of the motivation being responsible for another human being. Suddenly someone else’s life is in your hands. Their future, dreams, failures, hardships….. It never ends. It really is an unconditional love that you never knew existed in you. My daughter was born a small, but mighty 6 pounds on the dot. Those that have followed my story before, know that it took us a few years and several losses until we were able to hold that precious baby in our arms. It was the happiest day of my life! Until, it also turned into one of the life’s most pivotal day’s of our lives. Emmie came out into this world a strong and healthy little girl. We were in love as all new parents are. She looked perfect to me, but over the next 6 hours she started to turn more and more of a purplish color. I went to take a shower and freshen up and when I came back there were a bunch of nurses around and my husband bent over her on an oxygen machine. All of the sudden she wasn’t holding her oxygen levels and they weren’t sure why. I just about lost it! Our journey to get here seemed so long and hard, how can more be thrown at us now? Since she was a newborn, they had no time to run long tests, and had to just react based on several things that could be going on, some scenarios being very serious. She needed to get on an IV in case it was an infection…. She needed a bunch of blood draws to test for A,B or C.
An X-ray machine came in. She got hooked up to an oxygen machine……. All of this happened and I had no control. 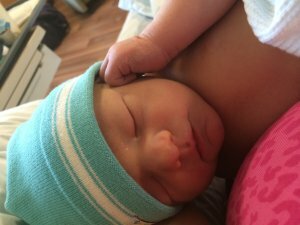 This tiny 6 pound baby came back to us full of machines, IV’s and stats to watch – it just felt surreal. Thankfully all of this fear and chaos ended with just a few extra days in the hospital. Turns out she had a pretty minor condition, where some fluid was left in her lungs, but what a start at life she was handed. I guess I have rarely shared the story because it ended with a quick and happy ending, and compared what so many others have had to go through, this was nothing! But in the end, this was an experience that truly changed my personal drive and passion. I had already decided after Emmie was born that I was only going to go back to work part time. I was working an office 8-5pm desk job, and my boss was ok with this change. 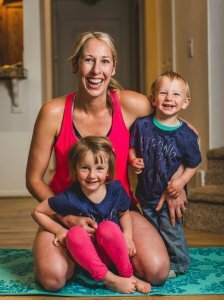 I had really gotten into fitness the 2 years leading up to Emmie’s arrival and there was something so special about that journey that felt different than anything I had ever taken on before. Although my steady job was a good one, there was a bigger calling out there for me and I knew it deep inside me. After seeing my near hours old daughter being poked, prodded, sticked and tossed around, it showed me just how strong the human race is born. In fact, I was telling her the story yesterday and she was asking me, “Mom, I bet I was so strong?”. Cue the tears right there!! She was stronger at 1 day old than most of us are the rest of our lives. We see this resilience in kids in the toughest of times. Emmie is one of the strongest, healthiest and happiest 5 year olds I know! It is LIFE that then trains us, that “good enough” is usually just fine and to settle for that! So as not to keep you here all day, I did end up going back to my office job part time after 12 weeks maternity leave. Before baby, I was sure I could come back and DO IT ALL still. I tried going back to the gym, blogging and doing it “all”, but of course it couldn’t all be done anymore. So drawing on the resilience that Emmie showed me and how when it matters enough, you will find a way – I took a leap of faith, left my “good enough” job and took after MY dreams and goals. I started Personal Training clients one on one online, was able to replace the income I was making, be at home more with my family and do what fulfilled my heart. Fast forward just 2 years later after Emmie’s arrival, and Weston made his debut into the world (far less riveting as he flew out and we were released the very next morning), but his impact was just as strong! When he was just 6 months old, VFit was launched and I hope to say for good, that the rest is history. I guess the moral of this story is that life is far too precious to spend your days just being “good enough”. There is nothing like the the strength a new soul brings into the world and the inspiration you get from having a clean slate at life. While my family had given up a lot of things those first years of us starting our business’s (we are both self-employed) and sometimes the easier road may be a different one than the one we have chosen – TIME is an asset that is worth more than any amount of money and was more important to us when we jumped off the “good enough” bandwagon. I wake up each day with a heart full of passion, a brain determined to do my very best and feel like I am exactly where I am meant to be right now. “Good Enough” isn’t even in my vocabulary anymore. I LOVE what I do and give my very best each and every day. This whole blog goes far beyond just a job, or career. I am talking about being your best at the things that matter the most in YOUR LIFE! Going after your dreams, fears, adventures, and anything in between. So if there is anyone out there who is consumed by a dream, passion or idea, but too afraid to go after it – DO IT! There is only one way to reach for the stars and that’s to look up and just go for it! And to all of those giving their best already, day in and day out – whether it’s on the home front, at a job, or in between – keep doing your best! AND Be proud! We have so much more to give this world than just “good enough”! 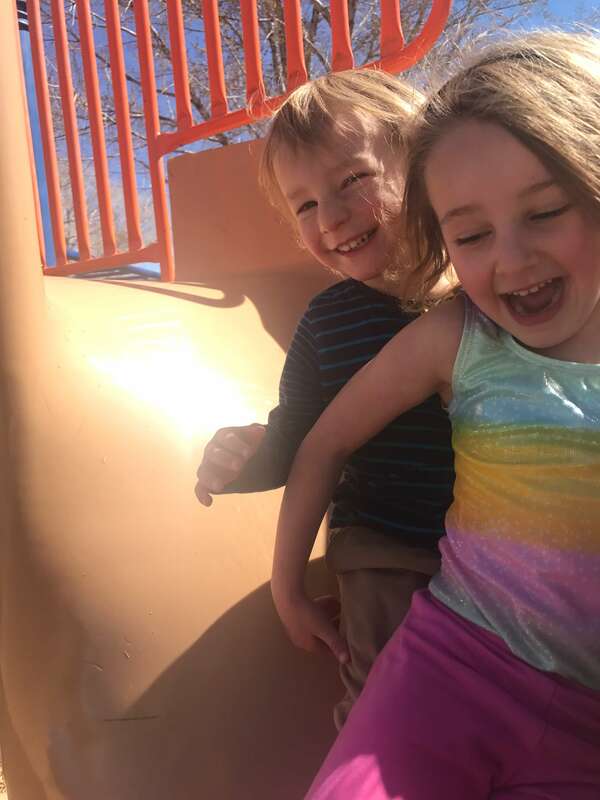 With both kids having birthday’s over the next 2 weeks, this post is dedicated to them and if they ever read what their momma wrote, I hope they know just how much passion, inspiration and drive they have given to my world!